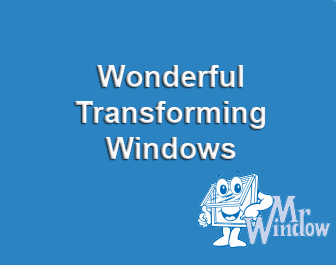 Mr Window is a Essex Based Double Glazing Window Company with real values, committed staff and high quality products that look and work great. 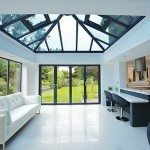 We have a contemporary showroom in Thundersley and a head office in Benfleet which only enhances our reputation as the leading manufacture in our field. Our customers like the fact that they can see the products they are buying from us. 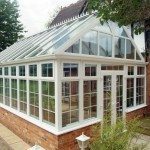 With a wide range of windows, doors and conservatories including Victorian, P-shaped, Edwardian and many to choose from, you cannot go wrong by hiring us. 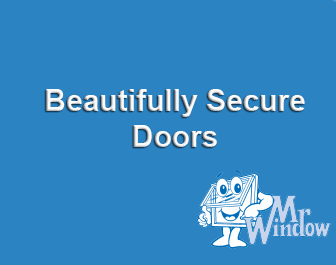 We have found all of our contacts with Mr Window to be one of the best customer services, polite, friendly, courteous, prompt and very professional. We’ve had so many compliments and have already recommended you to others. We won’t miss the draughts from the 20+ year old patio doors that we had and neither will the dog now that it doesn’t have his bed put in front of the holes to keep us warm! 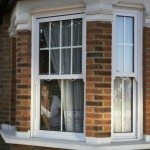 Hi, I’ve finally got around to fitting the window I purchased from you in April and felt I had to send a email telling you how pleased I am with the result. 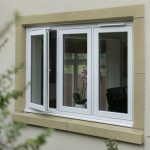 The window was perfect and easily fitted, everything was square and the fitting instructions and advice gave me the professional finish I was looking for. Lastly the internet quotation service is spot on and I hope you will expand this further as much as its nice to have people to help you I just want to get on and this service gives me that. Thanks again and I hope now to take on another window very soon. Its good when things go to plan and using a company as yourselves makes the whole exercise painless. See picture of finished result and please use this email to demonstrate a happy customer. We offer bespoke and standard designs to fit varying budgets and tastes. 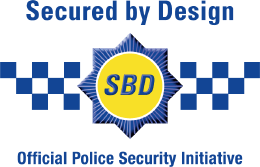 With options in uPVC, aluminium, wood and steel, we have an array of different options to suit differing levels of security and protection. Based in Benfleet in Essex, we supply and fit in London, Kent as well as Essex. We are a company with a long and distinguished history, which means that we are a company of longevity who have developed the skills of its staff so that we know every side of the industry. This way we can bring true knowledge to our customers who come back to us, time and time again. Our Staff have experience in a variety of aspects of the business, including fitting, designing and fabricating. This means that we have a keen eye for detail and know how the whole process of design, measuring and manufacturing should work, to our customer’s advantage. We know that the design is just as important as how functional and efficient it is. 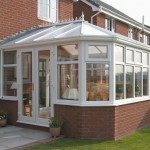 This is because we only supply windows, doors, conservatories, fittings and fixtures that we build to do an exceptional job, whilst looking smart. Enhancing the home is not simply about aesthetics. It’s about improving the property, using products that work, that are safe and that keep its occupants warm and secure. Our Company Director, Glen Cain, has developed the business over 35 years into what it is today. 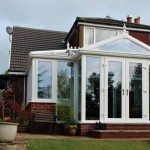 A first class double glazing firm that offers affordable, luxury windows, composite doors and conservatories which will add a touch of class to any house. We base the whole of our business on being able to provide the best quality products and service. 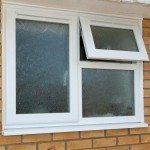 We have done this without building a negative reputation, something that other double glazing firms have wrongly set for themselves. 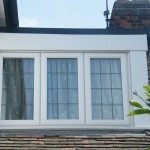 Our company stands out as one of the most approachable double glazing firms in Essex. We are proud of our work and the positive methods we use to communicate with our customers. We keep our customers informed throughout the whole process. From the manufacturing of our luxury quality windows and doors that provide warmth and security to installing them. From the moment you call us or visit our showroom you will discover just why our customers come back to us and also recommend us to their family and friends. Our loyal long standing staff is consistently courteous. We know just how vital it is to receive an outstanding service, backed up by superior products that delight even the most hard to please customers. The service we supply remains uncomplicated. We believe that is the key to our success. We keep things simple. We are extremely honest about our prices, the delivery times and the fitting of our high quality bespoke products. This way our customers know exactly what to expect from us and they will know that we will always deliver a great service to them. Ask us direct questions and we will give you honest answers. Communication is a large part of our company. We need to keep in contact with our customers every step of the way. With that in mind, we do not harass our customers by any method of communication and this is how our firm has become the leader in our field. We are sincere company filled with integrity. Call our team today and you will experience our second to none service that is incomparable against others claiming to be specialists in the same field. Our customers rely on us for our expert product knowledge and for our superior products that stand the test of time. Not only that, we have selectively hand-picked and trained a team of engineers and craftsmen that are very particular about their work, finishing off to a very high standard each time. 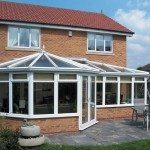 We have thousands of customers who can testify that our work and our service is that of a first class company which is built on honesty and reliability. You can see this from our testimonials. 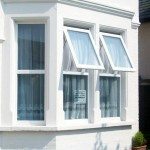 We simply take just 5 days to make and deliver superb quality windows. This has made us the envy of many companies serving in the same industry, who usually take 2 weeks to do the same. This is why we get many recommendations from our previous customers because we can get the job completed quickly. 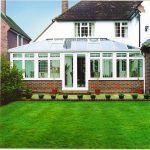 The windows, doors and conservatories that we make are completed to the high standard that we have built our business on. Our products ooze excellence, something we insist on each and every time we complete a project. Our prices are reasonable and our whole service reputable, so it makes sense to supply products that are equally outstanding. Our products are built to last. 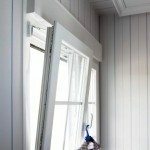 We use the most innovative materials in order to achieve windows and doors that withstand the elements. 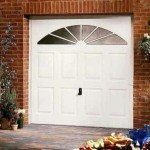 We use materials that have been tested for security and weather protection. 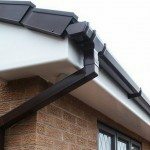 We can ensure you that our products will keep your home protected from potential damage which can be the result of alternatively built products. Our Director, Glen works tirelessly with his team to make sure that each and every one of our customers are happy with our products and services. 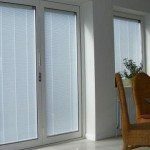 We could not do that by harassing our clients by offering substandard products, like some other glazing companies. 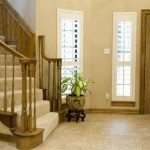 Take a look at our core services to enhance your home. We operate a nationwide service and will never turn down enquiries from the rest of the UK. Because our contemporary showroom and purpose built manufacturing facility is located in Essex, we attract enquiries from the local areas. We have been actively serving the areas below, however cannot possibly list every single project we complete because we work regionally in all parts of Essex, Kent and London, and of course nationwide. For this reason we would ask that you contact us by telephone or feel free use our contact page. If your town or village is not listed as we will be happy to oblige and provide a quotation without obligation. We work exhaustively across the region and supply our products nationwide. 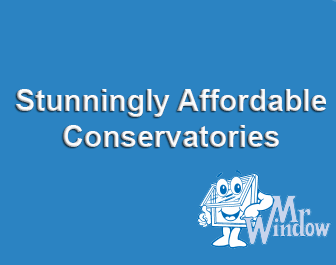 We are well pleased to bring luxury, bespoke and standard windows, doors, conservatories and porches to our customers. 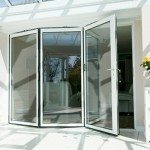 Speak to us today for a no obligation quote without the high pressure sales that you might expect from other double glazing companies. 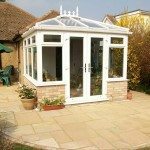 We invite all our current and future Essex Customers to talk to our knowledgeable team who are always delighted to answer any questions you may have and offer fair prices for real honest work. We will never harass any of our customers. 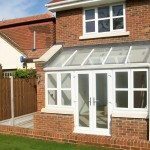 We do not use the same high pressure sales methods as some other glazing companies. We are not like them and we stand out because of our impeccable service which does not involve unnecessary sales techniques. Our team invites you to call us today. 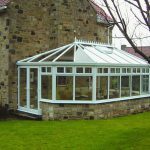 In return we will offer you a free, no hassle quote and will enlighten you on our huge range of windows and doors, as well as delight you with our exquisitely tasteful conservatory, porch and orangery options. 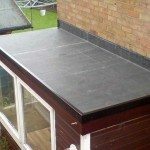 We are based in Essex, but our firm offers a nationwide service. We continue to charm and delight over 23,000 customers, of which 80% return to us regularly to complete new projects. 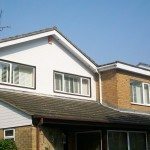 Our team has helped to enhance and transform thousands of homes by carrying out a huge array of varied projects including repairs, maintenance and building work. With so many products in our catalogue and our own manufacturing premises, we really are at the fore front of our industry. 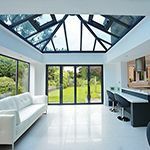 Our Company Director runs the company obsessively which is why the business has longevity, giving our customers a prompt and superior service from the first enquiry, right through to project completion. Our loyal members of staff have been technically trained with on the job experience and education covering the whole industry, helping us to remain the market leaders in providing first class luxury products at surprisingly affordable prices. 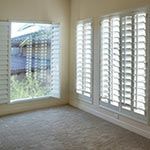 We have turned an otherwise lengthy process of making windows, doors and other items into a quick process that does not sacrifice on quality. In fact, our prompt 5 day to supply service has helped us built a renowned reputation as a reliable company who delivers high quality bespoke products, on time, every time. 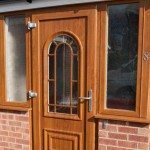 All of our doors and windows are constructed by us at our own site in Essex. 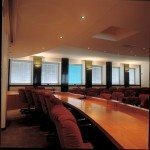 So from the moment we have measured up for the desired project, we can then provide you with a fast supply and install day which will amaze you.